Pedro Perez is a senior attending East Los Angeles Renaissance Academy on the Torres campus. Perez has been incredibly active in school activities and clubs. Because he has a passion on saving others’ lives, he helps host annual blood drives on campus for the past two years. In his junior year, he was inspired to join his first club, “The Inner Beauty Club.” On the very first day he was elected vice president, setting an example for others and soon after was elected president. Upon joining this club he has done his very best to encourage others to accept themselves as they are. His message is always “Beauty comes within,” inspiring and influencing others to become better people and be accepting of others. Weekly he would go harvest, plant, water and care for the school’s garden. But his passion did not stop there. As of fall 2016, he joined the “Yearbook Club” and helped design, construct and balance the school’s yearbook for 2015-2016 school year. 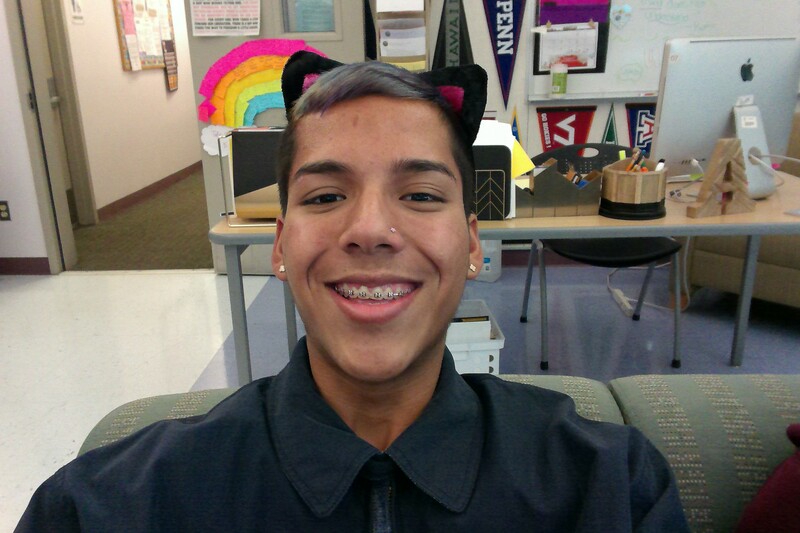 Perez was accepted into the ASB Leadership club the last school year and took part of the public relations committee where he used his creativity skills to decorate, brighten and create a positive environment around the school halls. In August 2016, he was accepted his second year as committee lead in public relations. He now leads the committee, and loves decorating and spiriting the halls at school. Perez’s dream is to go to art school and study interior design. He has always been passionate about decorating and planning, but also has an interest in politics. After establishing himself as an interior designer, he plans on using his interest in politics. Switching careers after about 13 years and become a politician is his goal. He has always fought for what is right and continues to fight for equality, freedom and rights. Perez believes all people regardless of race, gender or sexuality should be treated equal. His goal is to fight for everyone in this country. His inspiration in life was Hillary Clinton and admires, cherish, and honors her with all his love. Because of his inspiration, he wants to follow in Clinton’s footsteps and become a U.S. senator and soon run for president of the United States.